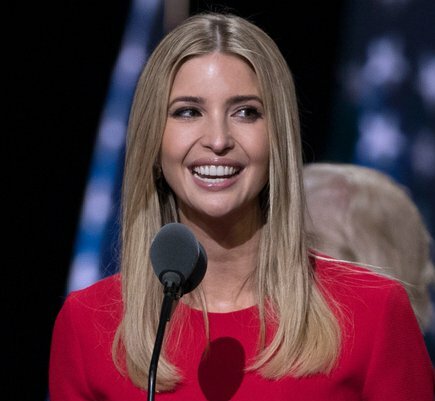 SAN FRANCISCO (CN) – A beloved San Francisco women’s clothing and accessory company accused Ivanka Trump’s clothing brand of using the White House to boost sales, to the detriment of its competitors. Modern Appealing Clothing, or MAC, claims in a class action filed in San Francisco Superior Court that sales of Ivanka Trump’s products have “surged several hundred percent” since her father was elected president last November. That surge, MAC says, isn’t coincidental. It claims that President Donald Trump and his employees, most notably his counselor Kellyanne Conway, have been busy shilling for the Ivanka Trump brand since the election. Thursday’s lawsuit cites President Trump’s Feb. 8 Twitter rant against Nordstrom for dropping the brand and Conway plugging the brand on Fox News a day later, a violation of ethics guidelines. “My clients just want an even playing field,” said MAC attorney R. Michael Lieberman in an interview Friday. MAC operates two women’s clothing and accessory boutiques in San Francisco. It opened its first location in the Tenderloin in 1980. The company is small but well-known in fashion capitals around the world for its quirky and designer pieces. Several retailers dropped Ivanka Trump’s line earlier this year after sales plummeted, due to what analysts believe was backlash against President Trump. However, sales surged 346 percent between January and February following the glut of free publicity the brand garnered after the president and Conway took to the airwaves, according to retailing data tracker Lyst. MAC seeks to represent a class encompassing all women’s clothing and accessory companies that operated in California between November 9, 2016 – the day after the election – through the date of trial. The company is suing for unfair competition and conspiracy. It wants temporary and permanent restraining orders barring Ivanka Trump’s brand from continuing to compete with it in California at an unfair advantage. It also asks for restitution for itself and the class. “As a result of their unlawful acts, defendants have reaped and continue to reap unfair benefits and illegal profits at the expense of plaintiff MAC and the class it seeks to represent,” MAC said in its 11-page complaint. A spokesperson for the Ivanka Trump brand did not return a request for comment Friday.